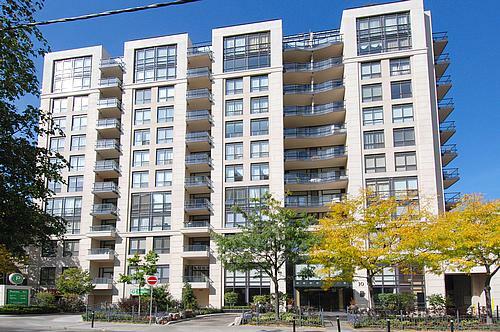 Welcome To Suite 405 – Stunning 646 Sqft South Facing Unit In Most Prestigious Building. Bright + Spacious Layout Filled With Natural Light. Open Concept Living/Dining With Hardwood Floors, Granite Counter Top, Crown Mouldings. Parking And Locker Upgraded Trim, Trendy Back Splash, Freshly Painted, Steps To Subway, Shopping, Restaurants, Schools And Parks.